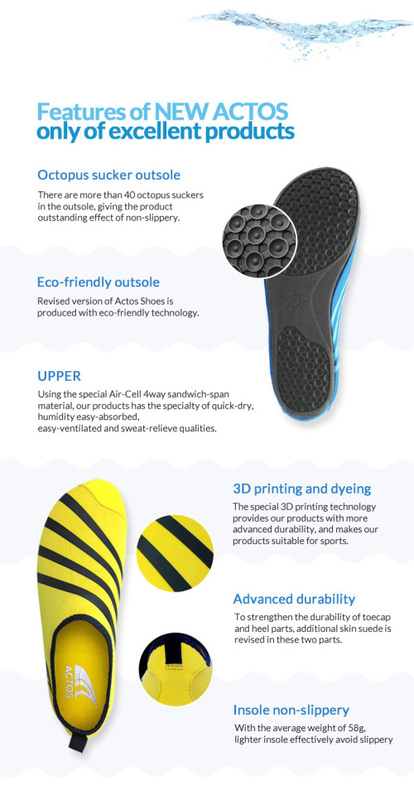 The Actos Skin Shoes are characterized by an even thinner anti-slip sole than many other barefoot shoes. Maximum control and perfect barefoot performance are the result of the uncompromising ultralight design. In fitness training, water sports, or simply on the beach and on holiday - the Actos will be your favorite shoe. The shoe is perfect for water sports, as it transmits every little movement of the sports equipment to the body - and, of course, vice versa. Whether for kiteboarding, windsurfing, water skiing, wakeboarding or kayaking or sailing - Actos is the first choice.